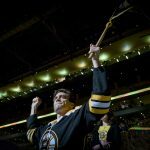 TIFF 2017 Review: ‘Brad’s Status’ is a Must-See Self-Worth Journey. 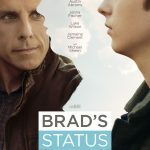 Scott Menzel reviews "Brad's Status' which premiered at the 2017 Toronto International Film Festival. 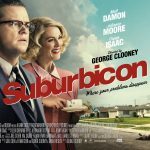 Ashley Menzel reviews "Suburbicon," the latest Coen Brother's film directed by George Clooney starring Matt Damon and Julianne Moore. Scott Menzel reviews 'I, Tonya' which stars Margot Robbie as Tonya Harding. The film premiered at the 2017 Toronto International Film Festival. Ashley Menzel reviews "Molly's Game," the directorial debut for writer Aaron Sorkin. 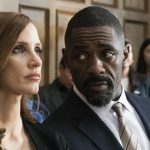 The film stars Jessica Chastain and Idris Elba. 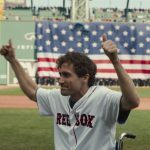 Ashley Menzel reviews the latest Jake Gyllenhaal film based on the true life story of Boston bombing survivor, Jeff Bauman. TIFF 2017 Review: ‘Stronger’ is David Gordon Green’s Best Film Yet. Scott Menzel reviews 'Stronger' which premiered at the 2017 Toronto International Film Festival (TIFF). 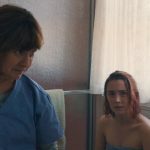 TIFF 2017 Review: ‘Lady Bird’ is Greta Gerwig’s Coming of Age Masterpiece. Scott Menzel reviews Greta Gerwig's directorial debut, "Lady Bird" starring Saoirse Ronan, Laurie Metcalf, and Beanie Feldstein. Ashley Menzel reviews the film Film Stars Don't Die in Liverpool which played at Toronto International Film Festival.